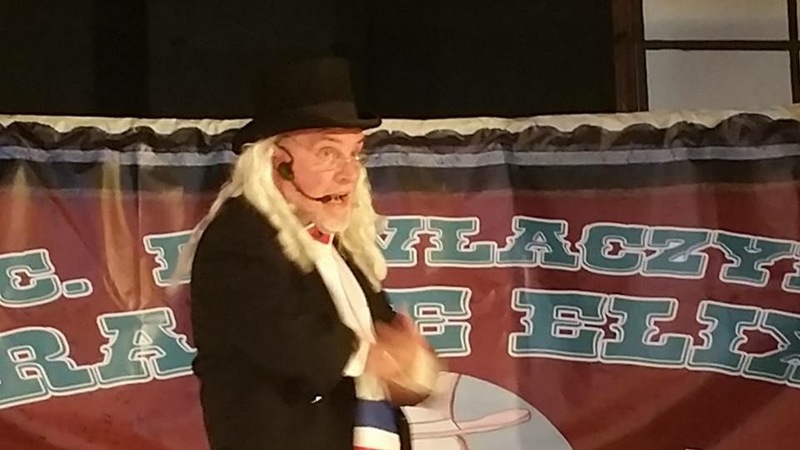 This show is a mix of magic, comical storytelling, music, audience participation, funny props, ventriloquism,Â "mind reading, lots of puns and a whole lot fun". It's an historical show with an hysterical modern twist. The set design, colorful backdrop and the theatrical structure of the show brings about a mini comedy stage play experience for all ages. 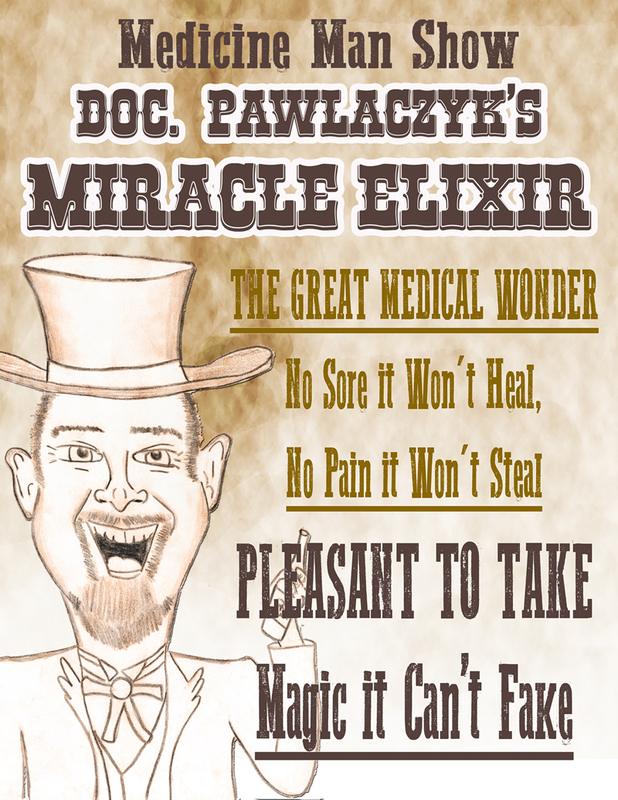 During the nineteenth century the traveling medicine men brought goodtimes, entertainment and miracle curing potions to health hungry spectators in small towns and cities all over America. According to the NYU Department of Media, Culture and Communications the medicine shows, were popular primarily between 1850 and 1930 in the United States. 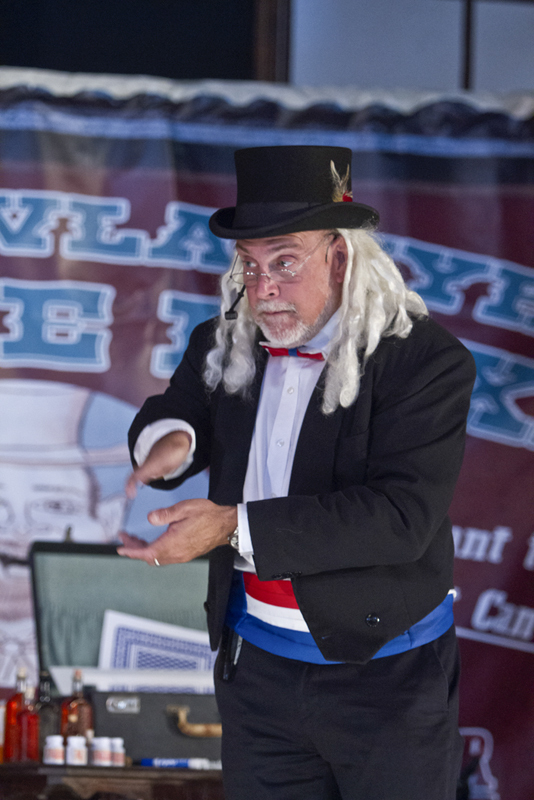 They were traveling groups that put on Â magic shows, mind reading entertainment and ventriloquist acts interspersed with sales pitches peddling miracle cures, elixirs and other various products of a dubious nature. "How much is your health worth, Ladies and Gentlemen? It's priceless, isn't it? Well, my friends, one half-dollar is all it takes to put you in the pink. That's right, Ladies and Gents, for fifty pennies, Nature's True Remedy will succeed where doctors have failed. Only Nature can heal and I have Nature right here in this little bottle. 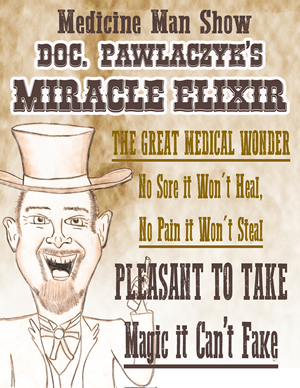 My secret formula, from God's own laboratory, the Earth itself, will cure rheumatism, cancer, diabetes, baldness, bad breath, and curvature of the spine..."
Doc Pawlaczyk's Outrageous Traveling Medicine Man show gives modern America the chance to get a little taste of yesteryear by mixing foot stomping music, hilarious stories, magic, quick banter, an astonishing fearless circus flea and most importantly, Doc Pawlaczyk's Miracle Elixir. As part of the show there's a singing pirate, a goofy science experiment, a chicken testimonial and some patriotic magic. 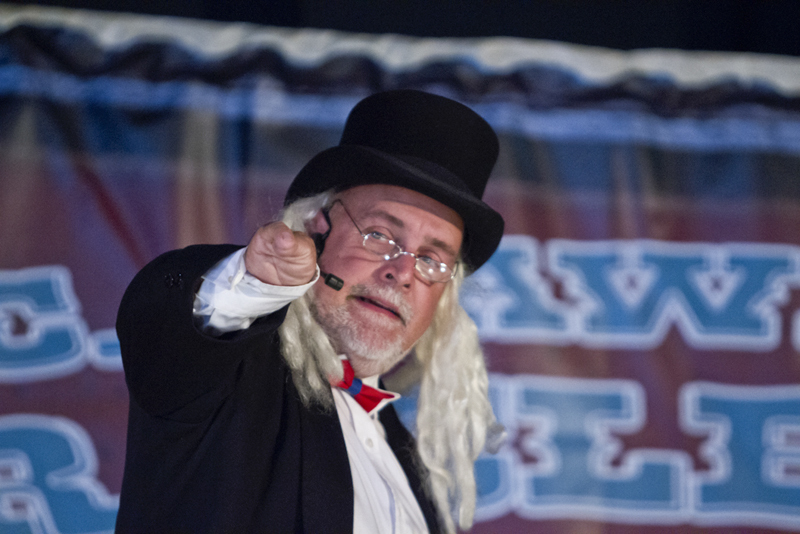 Audience members of all ages will be laughing out loud at the Doc's goofy antics and funny crowd participation. They will learn how Doc Pawlaczyk's Miracle Elixir will cure anything. 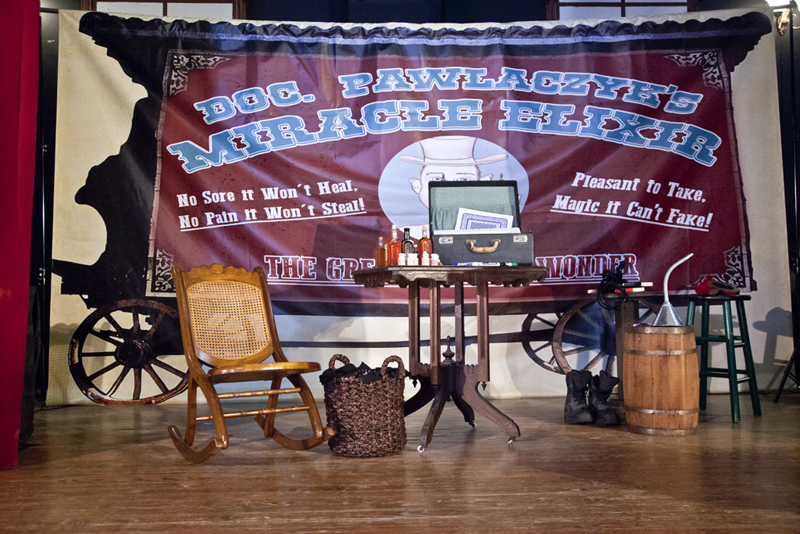 Doc Pawlacyk's agical storytelling, outrageous show will bring you back to that time in history when people in small town America were looking for a miracle to cure their headache, stomach pain or just something they could take to help deafen the voice of their nagging spouse. 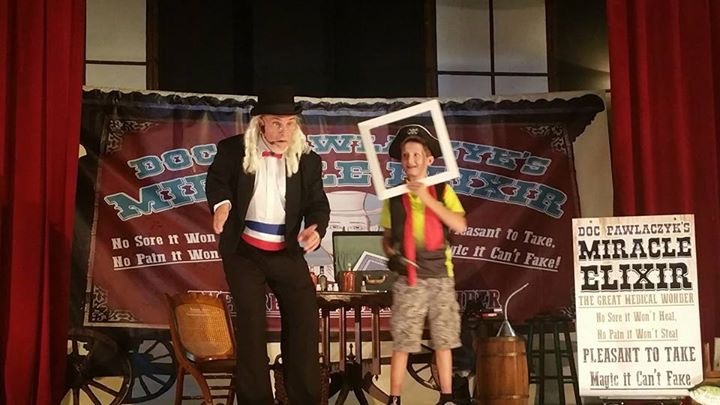 This unique magic style show is available for theaters, festivals, fairs, historical theme events, museums and many other family fun events. Brought to you by Richard Paul. Click below for images from a performance.